Bangor is the place I grew up. The place that my home is. Bangor is more of a student city and although all you can see now days is big (huge) student flats at nearly every corner your turn, there are still some things for local residents and visitors to do in Bangor. Bangor has a great night life and full of great shops for any of you people who love to shop during the day. There are places to walk and many places to eat with friends and family. Bangor has a fairly good size swimming pool. There are two pools inside. One pool is perfect for young children and the other pool is rather deep so great for those adults who like a swim. Bangor Swimming Pool have a time table on their website to say when they are open to public, times for swimming lessons and children activities such as diving lessons. This is the swimming pool I had my swimming lessons and passed all grade! There is also a fitness room and again, the timetable is on their website. 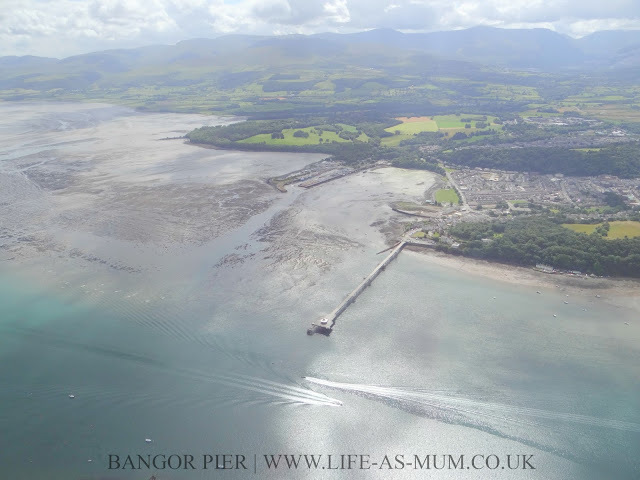 If it's a lovely day and you're heading towards Bangor then I would recommend you to take a visit to this Grade 2 listed Bangor Pier. It's a lovely walk on your own, as a couple, with friends or with children on a nice day. I have been a couple of times with family and have always enjoyed it. There isn't a lot to do but there is a café at the end of the pier and some seating areas where you can admire the view, which is beautiful. There are many shops in Bangor such as New Look, H&M, Poundland, Debenhams, Boots, Peacocks and much more on the high street. There are also a few shops on your way to the town such as Tesco, Sports Direct, NEXT, PC World, Pets At Home, Matalan, Home Bargains and more! There are other great local shops in Bangor too that you could visit. Bangor now has a Market every Friday morning which has a lot of stalls from local businesses. You could find something unique and maybe just a great excuse to go shopping some more. There are many places to eat in Bangor. You can find a lot of places to eat in the town itself and all around. Just a few of the places you could go to is Wok & Go, McDonalds, Table Table, Weatherspoon's and much more. There will be a post about more places to eat in Bangor, soon. There are a few pubs and clubs in Bangor which can be a good night for you if you are looking to go out drinking for the night. Many people start in Varsity which is near the top of Bangor and then they work themselves down towards the main nightclub Peep. If you are looking for something for the kids then there is the perfect play centre at the bottom of town. It's a big indoor play area for children aged 1 - 12 years old. It's all open and with many tables and chairs for the parents/guardians to chill out and keep an eye on their children. You can also eat there and book parties. I would recommend a visit to The Play Centre in Bangor if you have children. This 19th Century Fantasy Castle is the perfect place to go if you like a bit of history. I used to visit Penrhyn Castle with school trips when I was younger and I always loved going there. I don't know any child who didn't enjoy visiting the castle. It's a really interesting place to visit if you are interested to see how home décor and life was in the 19th Century. The lovely castle is on 60 acres of ground which is a lovely place to go for a walk. So many different things to do! I've never been to Bangor (that I remember, we did visit Wales when I was young though...), but I do love Wales and it's scenery. The pier sounds like a perfect place for a walk and a coffee and cake and we absolutely love castles, which kid wouldn't want to explore a castle! 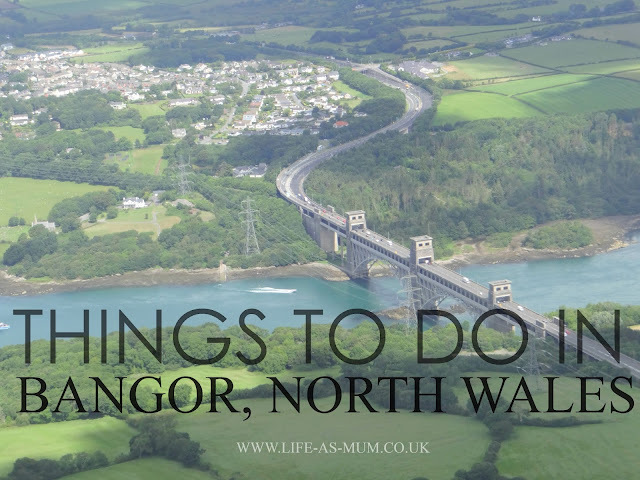 I've never been to Bangor but it sounds like there's plenty to do with a family. The pier looks really very pretty. Ive never been to this part of Wales before, but this has made me want to visit there some time next summer for a quite holiday! looks beautiful. Ive always wanted to go to wales! This sounds fantastic! My friend studied at Bangor so Itis somewhere I've heard a lot about. I've only been to north wales once but I'd love to visit more as it's so beautiful there!